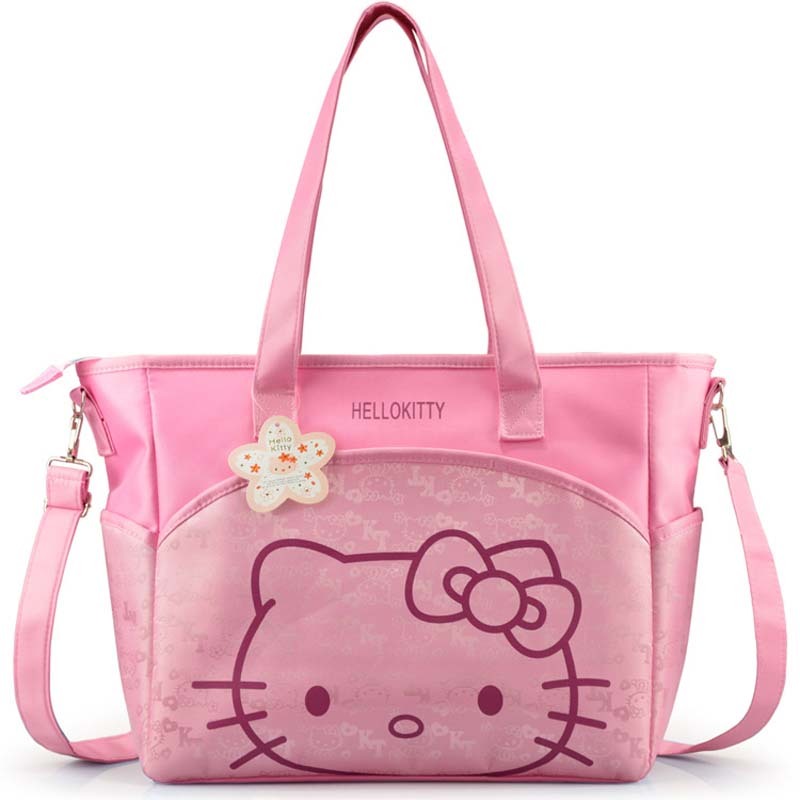 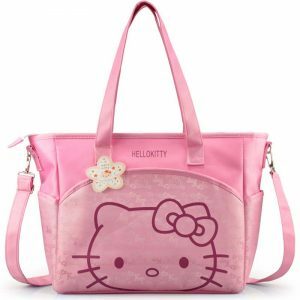 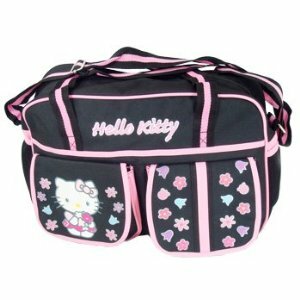 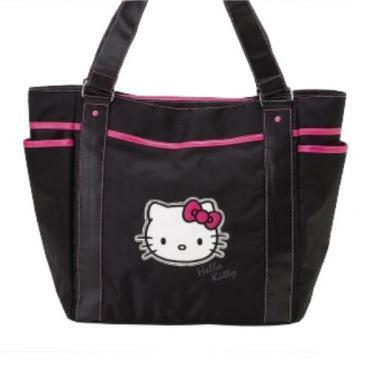 The cuddly Hello Kitty diaper bags are just useful for loading your baby’s belongings but also have a great utility. 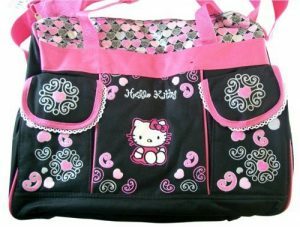 They have the much-needed space and arrangement for keeping the items intact. 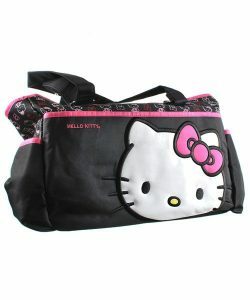 New mommies can’t ask for more as these bags serve umpteen purposes and promise a high durability. 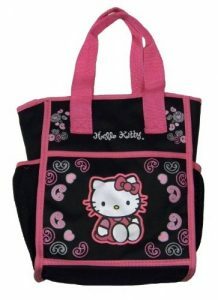 The medium size baby girl bag has several pockets that do not come with zips giving you the choice for arranging the items according to your needs. This one has a Hello Kitty applique on it to add more exuberance to the plain exterior pocket. 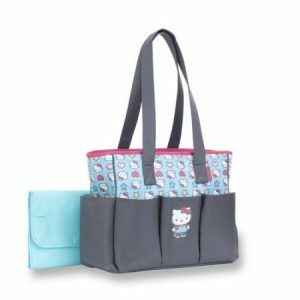 You can make use of the side pouches as well for keeping the regular baby stuff. 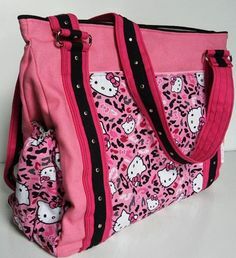 Here is a baby pink diaper bag where the Hello Kitty is playing peekaboo with you. 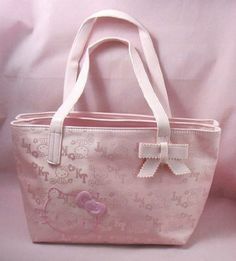 The ribbon at the end of the front handle adds an extra charm. 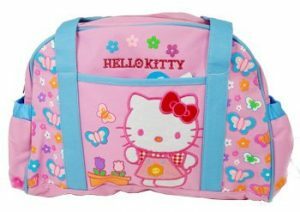 Going for a long holiday requires you to carry a host of baby items right from food to clothes. This duffle bag serves the exact purpose giving you umpteen space so that you don’t have to carry another luggage for your toddler. The small diaper bag is appropriate for putting in the pram when you are taking your baby out for a stroll.